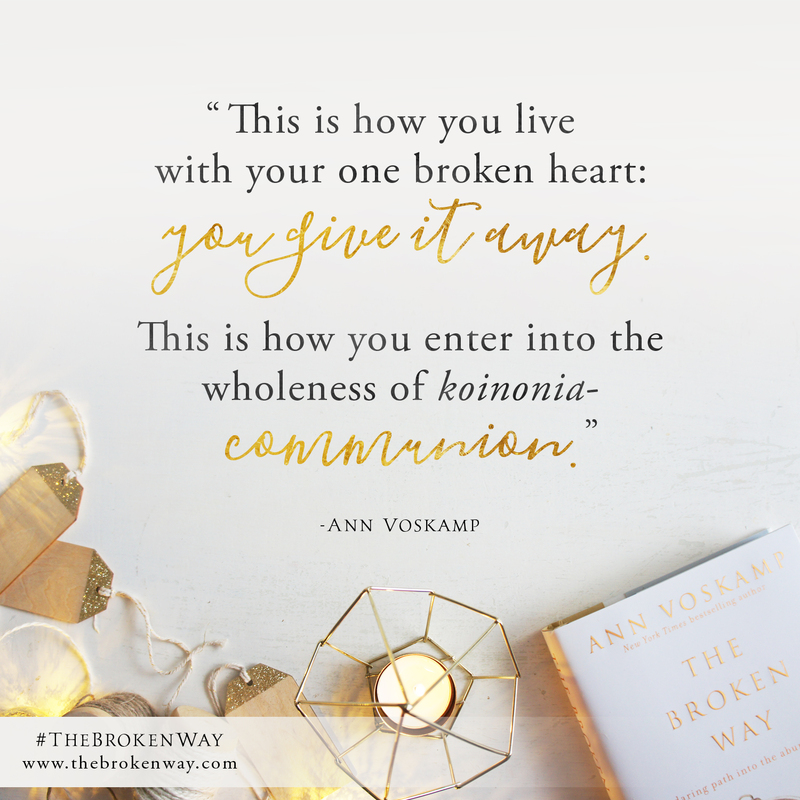 I have had the privilege of being a part of the launch team for Ann Voskamp’s new book The Broken Way. 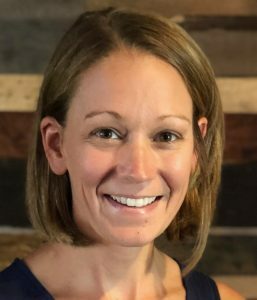 I signed up to be a part of this team because I loved Ann Voskamp’s first book, One Thousand Gifts and I figured I may be able to relate to the premise of the book. And by Chapter 1 I was hooked. 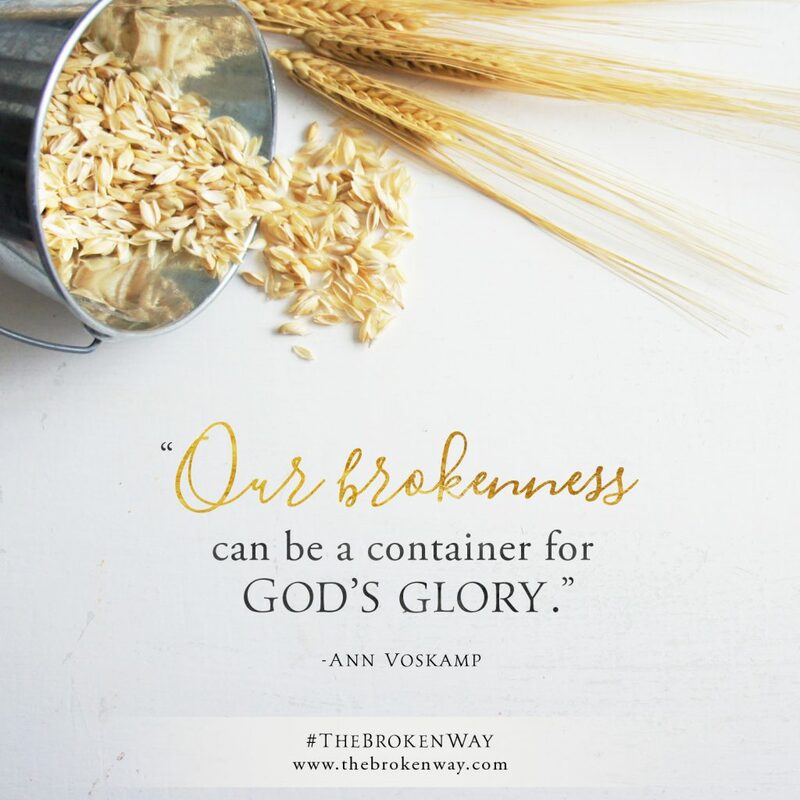 She spoke of brokenness as a way that God can bring in His glory. That brokenness is not always a bad thing that we should avoid. Hard – yes! But if we turn to God with our broken hearts, we can allow Him to use our tragedy for His glory and for our good. As we turn our broken hearts to God, He can come in and tenderly love us is the midst of the pain. After my mom died, I did everything I could to avoid more pain. But I learned that when I am broken and undone, I am more willing to allow God to come in and tenderly love me where I’m at. When we’re naked and ashamed and alone in our brokenness, Christ envelops us with His intimate grace. When we’re rejected and abandoned and feel beyond wanting, Jesus cups our face: ‘Come close, my Beloved.’ When we’re dirty and tear-stained and despairing, Jesus Christ is attracted to us and proposes undying love: ‘All that you’re carrying I take…and all that I am is yours. I think often times those difficult circumstances can leave us feeling alone and isolated – no one else understands, no one else gets what I am feeling. And when I agree with these thoughts, I then start to focus on only me and I take my eyes off of the One that allowed the suffering in the first place. And when I do that, I start to walk down the road of discouragement and despair. But Ann argues that perhaps the root cause of our struggle and despair is because we are asking the wrong question. She goes on to argue that perhaps the way to abundant life is to freely give to others in the midst of our brokenness. I think my tendency when I am broken in two by my circumstances, is to retreat into myself and to wait for others to bless me. But Ann encourages us to turn that philosophy upside down and to give of ourselves to find abundance in life. It’s in the giving of our time, our talents, our resources that we find communion with others. I have found this to be true in my life as well. When I stop focusing on me and can love others, I find I am deeply blessed in a unique way. But I have found that it takes God’s grace to allow me to entrust my brokenness to Him so that I can give away what He has given to me. If I try to do it in my own strength I end up in a puddle of defeat and despair. But if I can give with the measure of what’s been given to me, then I am blessed and the recipient is blessed by the grace of Christ. I must admit though for the sake of honesty that this book has challenged me immensely. As I live day to day with a newly broken heart, I struggle to gaze upon my Savior. And I believe there is a healthy balance in the midst of grief where you look at your loss straight in the face and grieve. But I don’t think you should stay there. I think you have to shift your focus and “fix your eyes on the author and finisher of our faith” (Heb 12:2). As he fills you, you then can give Him away to those around you. And I think it’s here where you find joy and abundance in life. This book has breathed life into my broken heart and has allowed me to shift my focus from myself to God and others. I could honestly fill this post with a thousand quotes from this book, but I’ll let you read the book for yourself. I encourage you to pre-order the book – it releases Oct 25. 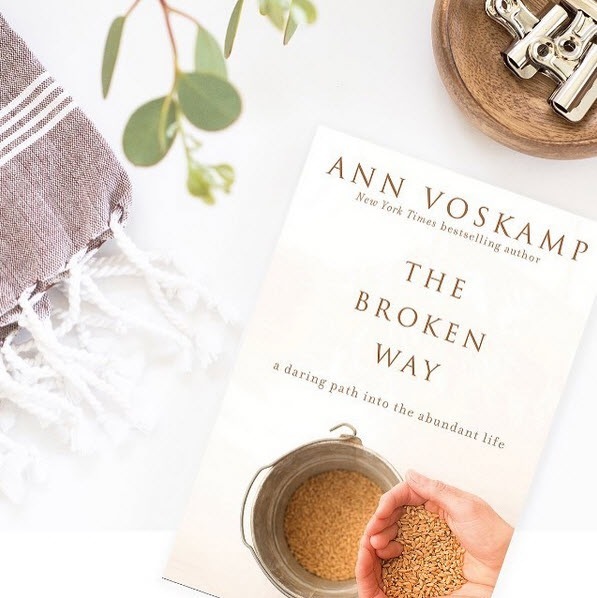 Even if you don’t read the book, I pray you too can entrust your broken heart to God and let Him meet you in your brokenness. I’m so glad you found help and healing through this book, Sue. Thanks for sharing ? ?